Natalie is a composer, pianist and flutist. She graduated from her Master degree in Music Composition at UMKC Conservatory of Music and Dance. She also graduated from Hong Kong Baptist University (HKBU) from her Bachelor of Arts (Hons) degree in Music, concentrating on Composition and Music Production. 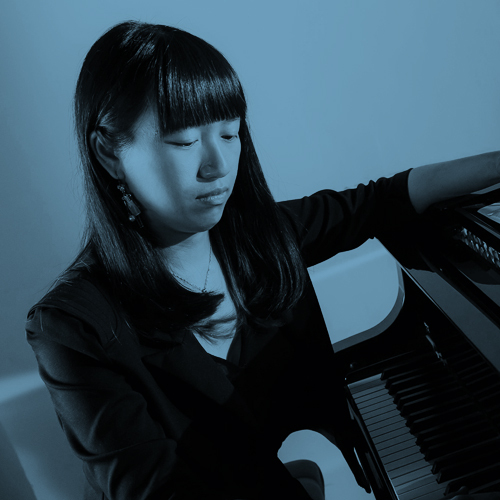 Her composition Peach Blossom Spring for piano and vibraphone received the innovative prize from Abundance Silence in 2019. Her compositions are always inspired by arts and literature and she loves to compose music for different media. She is also interested in music and dance collaboration and she had experiences to collaborate with choreographers and dancers. Besides, Natalie has experiences in composing for drama; she was the music director and composer of “Hang out with HEART” in 2016, which was a drama organized by Hong Kong Children & Youth Services. Natalie is also active in participating music festival. She is the participant of Thailand International Composition Festival (TICF) 2017 and her composition was performed in the Exchange of Midwest Collegiate Composers (EMCC) 2018. Natalie is currently a flutist in the praise band “Temple Worship” at Midtown Baptist Temple. Her composition teachers include Dr. Chen Yi, Dr. Zhou Long, Dr. Paul Rudy, Dr. Christopher Coleman, and Professor Christopher Keyes. Natalie has teaching experiences in piano, flute and accompaniment more than six years. Having a graduate degree in music composition, her objective is teaching music with creativity and diverse cultural materials to enhance students interests, initiatives and passions in music; establish goals for students according to their abilities. She would like to teach students how to play music with their own characters, and supported by a good foundation of music techniques.